I am very excited to hear about this new cafe that opened today in Marunouchi. 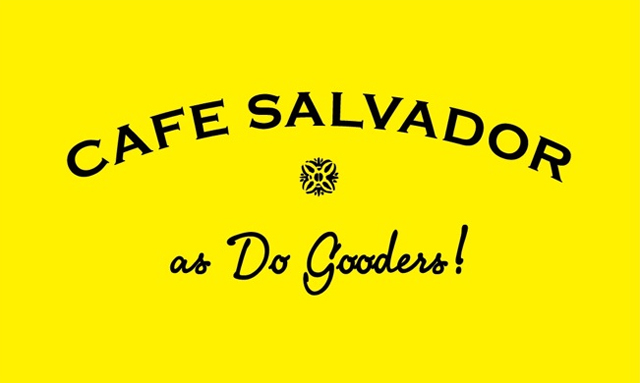 Cafe Salvador will have magazines, both Japanese and foreign, for customers to peruse while drinking their java. Titles include Vanity Fair, GQ, The New Yorker, Conde Naste Traveller, and more. The cafe collaboration with Conde Naste and the Cafe Company is a brilliant idea. As it just opened today I haven’t been but look forward to going there soon. 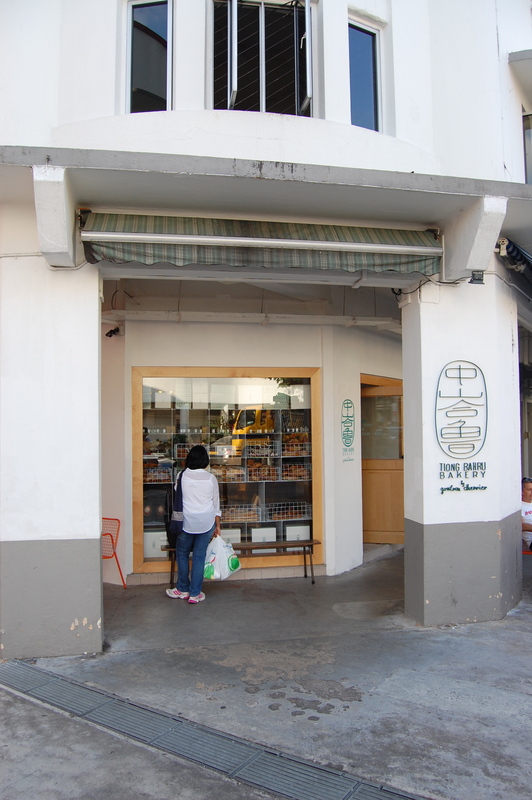 Boulanger Gontran Cherrier‘s Singapore outpost is very popular. As a baker I find his offerings very interesting. 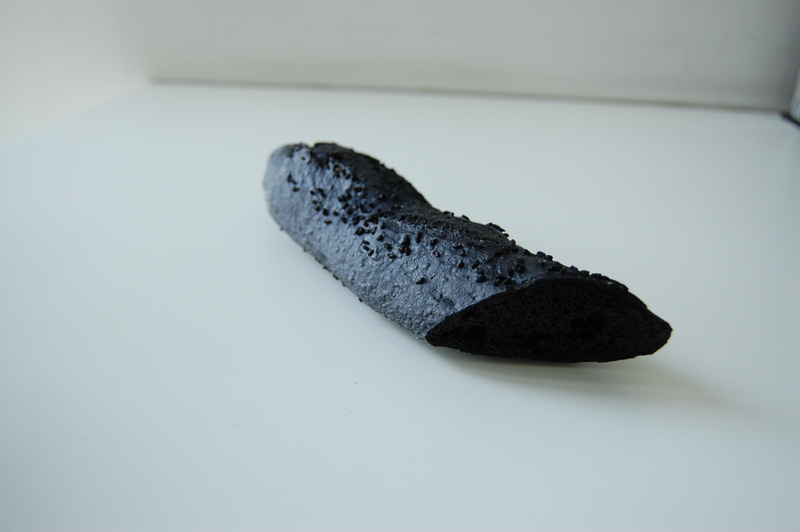 A dense red miso bread and an intense squid ink baguette (see photo below). I love his croissant with visible, crispy layers. I would show a photo but I can never hold myself back from digging in as soon as I get it. His Singapore outpost has some indoor and outdoor seating and is often full. He’s known for creating unique breads so I am very curious to see what he will make once he starts working with Japanese ingredients. The media in Singapore has been covering his store here and several have reported that a Tokyo outpost will be opening in August. I hear that it will be near Shibuya station but this has yet to be confirmed. Commanding the corner, this branch of a Kyoto shop dates back 400 years. Gyokueidou is famous for two sweets, its dorayaki of pancakes stuffed with azuki paste and gyokuman. The gyokuman is a large sweet manju that is several layers around a chestnut of azuki paste, pink an, white an, and the manju cake dough, made from sticky yamaimo that encompasses it all. 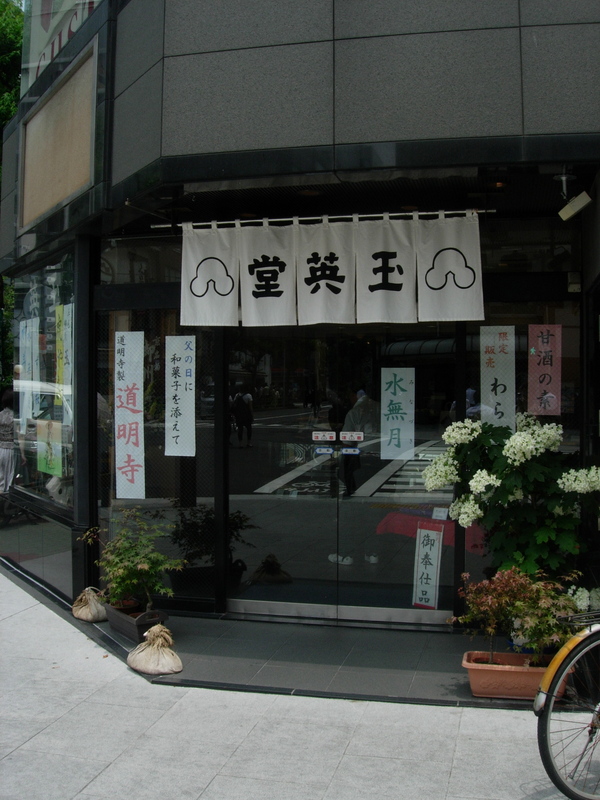 For almost 100 years Toukai has been a popular wagashi shop in Ningyocho. Be sure to pick up their signature Japanese-style waffles. There is a small selection of other wagashi confectionaries. Across the street is a well-stocked sake shop. 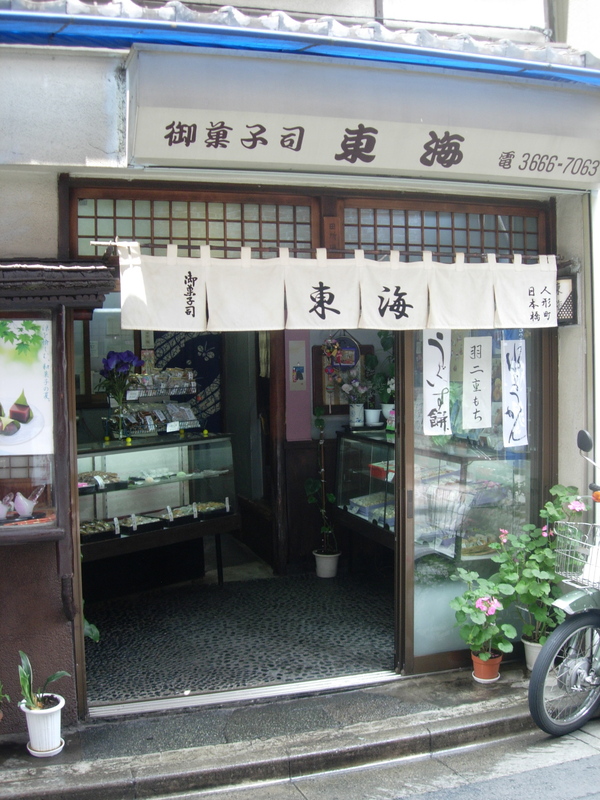 Tsukushi is a kanmidokoro (sweets café) that offers the classics of anmitsu and its many variations. There are sweets to go, but the real reason to come here is to sit and in the café to indulge in their signature purin, a dense, rich egg custard with an intense caramel sauce. Have it on its own, or try it in an anmitsu with azuki beans and canned fruits. When I am craving Japanese vegetables one of the first restaurants that comes to mind is Yasaiya Mei in Omotesando Hills. While the restaurant specializes in produce it also serves meat and seafood. 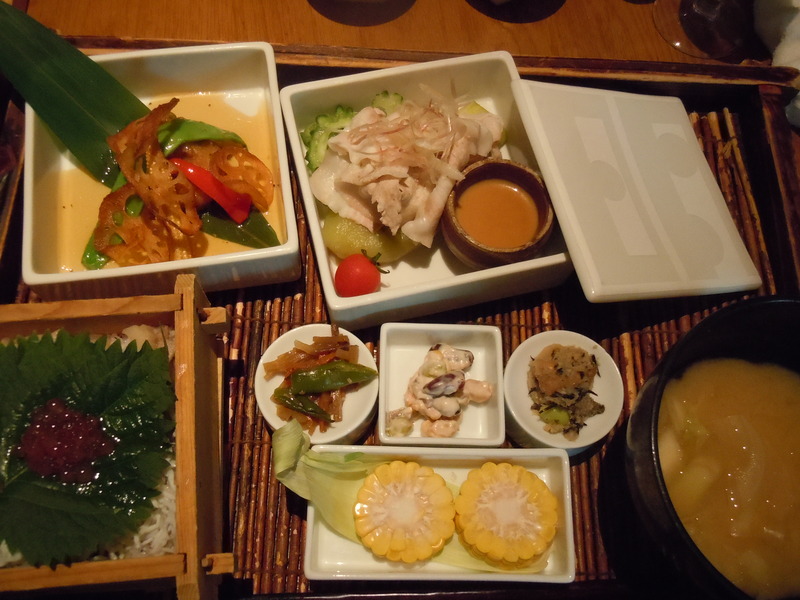 While classified as a “washoku” or Japanese restaurant, the menu often includes Western-style dishes like bagna cauda or a cheese fondue. The lunch menu is filled with photos of the set lunches so no worries if you don’t speak Japanese. The dinner menu is bilingual – English and Japanese. Everything I have had here has been excellent. Tofu burgers, eggplant doria of sake kasu (sake lees) and cheese, and the gozen (see photo above) featuring seasonal vegetables. On this day the staff suggested having a glass of freshly squeezed corn juice. Growing up in Minnesota I am spoiled by corn and have to admit that this was one of the most surprisingly delicious things I’ve had here. Many of the vegetables are on display at the restaurant if there is a Japanese vegetable you are not familiar with. I’ve always gone with friends which is great for sharing. There is also counter seating popular with solo diners. The staff are knowledgeable about the dishes and ingredients. And service, as usual in Japan, is top-notch. Closed if Omotesando Hills complex is closed. My latest craving is this great shichimi paste from the Kubara Honke Group. This nama shichimi is a paste of shichimi or seven spice. A little bit in miso soup for breakfast adds just the right spice to the savory soup. I also like it with some roasted chicken or yakitori. It is a thick paste of red chili pepper, yuzu peel, sea salt, sansho, black sesame seed, ginger, and aonori. A girlfriend introduced me to the product line. At her house she had some dashi-jio or dashi salt. She uses it for omusubi rice balls. She speaks very highly of everything she has tried from the company. 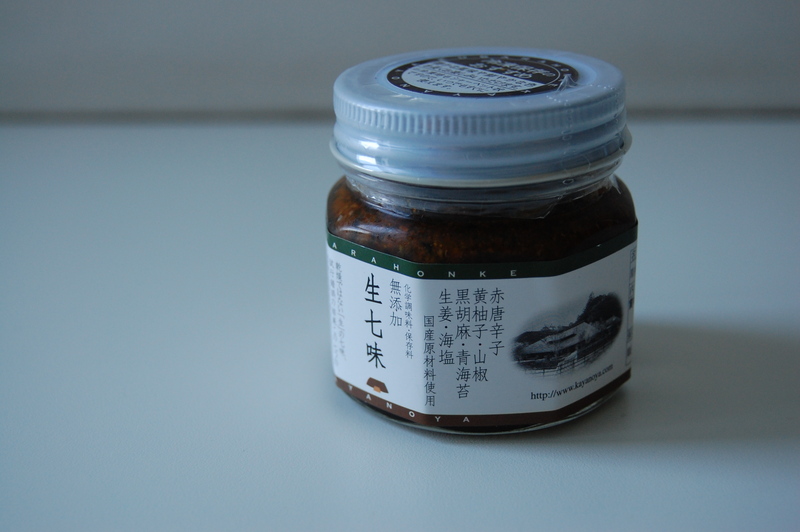 We love the nama shichimi and will definitely try other products. As Tsukiji Market is closed on Sundays many sushi restaurants also take the opportunity to give the staff a day off. That doesn’t mean that sushi isn’t eaten on Sundays in Tokyo. There are several places to look to for sushi on Sunday and national holidays. Check out hotels, department stores, and large train stations. Here is a shortlist of where to go on Sunday for sushi in Tokyo. すきやばし次郎 Sukiyabashi Jiro at Nihonbashi Takashimaya is a branch of the famous Michelin 3-star Sukiyabashi Jiro in Ginza. Nigiri or chirashi sets start at 3,150 JPY – a bargain compared to what you will pay in Ginza. Sukiyabashi Jiro is also at Roppongi Hills. 築地青空三代目 Tsukiji Aozora Sandaime at Ginza Mitsukoshi is a branch of a third generation restaurant from Tsukiji’s outer market. Call ahead to make sure these restaurants are open. This was posted in 2012. On national holidays and Sundays, we sometimes go to the cheap chains. They are often popular with families, so best to allow time to wait in line if you go at peak meal times – 12 noon for lunch and 6 p.m. for dinner. 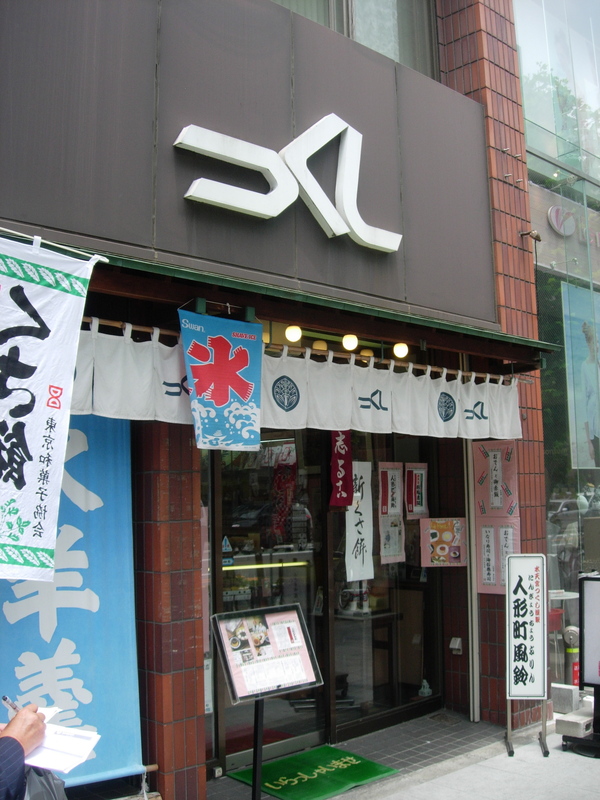 Sushi Zanmai with branches throughout the city. Midori Sushi with branches throughout the city. How do you like your noodles? Hot or cold? What temperature do you want the broth? Or, perhaps no broth at all? The texture of the noodle changes with the temperature. The umami changes depending on the type of broth or dipping sauce. While some connoisseurs may insist on only eating it a certain way, I suggest ordering what suits your needs that day. If it’s hot outside lean towards dishes like zaru or hiya-hiya. And in winter, go with the standard kake udon. Here are some Tokyo udon shops you may want to check out.